We designed with the State of Yucatan, Mexico, a non-contributory social security program for towns with more than 20,000 inhabitants, and evaluated its impact on the welfare of residents 70 years or over. We employed a quasi-experimental and randomized design with treatment and control groups and measurements before and after the intervention. People over age 70 get a pension of about US$69 at 2010 purchasing power parity (PPP) per month. This study follows both treatment and control groups over time to examine short and longer term effects. This is a unique project to test and understand the effects of non-contributory pension systems on the health and welfare of the elderly. Many countries around the world have introduced non-contributory social security programs, including Brazil, Bangladesh, Mexico, and South Africa. Non-contributory social security programs are implemented as a poverty alleviation measure for elderly with no contributory social security coverage or employer provided pensions. Given the worldwide trend of aging populations, it is important to learn about the long-term and short-term effects of these programs. This research was supported by funding from the State of Yucatan and by Grants R01AG035008, P01AG022481, and R21AG033312 from the National Institute on Aging and various units at the RAND Corporation. Updates and data for Evaluation 2 and Evaluation 3 coming up soon. Emma Aguila, Abril Borges, Arie Kapteyn, Rosalba Robles and Beverly A. Weidmer. A Noncontributory Pension Program for Older Persons in Yucatan, Mexico: Implementing and Designing the Evaluation of the Program in Merida. Santa Monica, CA: RAND Corporation, 2014. Emma Aguila, Arie Kapteyn, Rosalba Robles, Oscar Vargas and Beverly A. Weidmer. Programa de Pensiones No Contributivas para Adultos Mayores en Yucatán, México: Diseño, Implementación y Evaluación del Programa en Valladolid. Santa Monica, CA: RAND Corporation, 2014. Emma Aguila, Abril Borges, Arie Kapteyn, Rosalba Robles and Beverly A. Weidmer. Programa de Pensiones No Contributivas para Adultos Mayores en Yucatán, México: Diseño, Implementación y Evaluación del Programa en Mérida. Santa Monica, CA: RAND Corporation, 2014. Emma Aguila, Arie Kapteyn, Nelly Josefina Mejia Gonzalez, Rosalba Robles, Oscar Vargas and Beverly A. Weidmer. Geographic Targeting in Urban Areas: A Social-Welfare Program for Older People in Mexico. Santa Monica, CA: RAND Corporation, 2014. In 2007, the government of Yucatan, Mexico, and the RAND Corporation established a collaborative agreement to design and implement a noncontributory pension program and simultaneously evaluate it through a longitudinal study. This report describes the administration and results of two surveys in Merida, a social observation and a local observation designed to measure socioeconomic characteristics by geographic unit. In particular, it discusses application of observation instruments in May and June 2009 to 112 blocks for 22 basic geostatistical areas to create a social-gap index. The goal was to compare the results of the social-gap index based on local and social observations at the block level with other marginalization and social-gap rates used to target other social-welfare programs in Mexico and to assess the feasibility of targeting delivery of noncontributory pensions for older persons who live in urban areas. Emma Aguila, Abril Borges, Cielo Margot Castillejos, Ashley Pierson and Beverly A. Weidmer. Mortality Expectations of Older Mexican: Development and Testing of Survey Measures. Santa Monica, CA: RAND Corporation, 2014. Emma Aguila, Abril Borges, Ashley Pierson, Rosalba Robles, Jose Eduardo Del Torno and Beverly A. Weidmer. Distributing Noncontributory Pension Benefits by Debit Card in Mexico: A Pilot Test. Santa Monica, CA: RAND Corporation, 2014. Ethical and legal considerations require that human research subjects who provide certain kinds of information be able to provide informed consent when doing so. Obtaining consent from older people and from people with low levels of literacy or limited language fluency can pose challenges. For field trials, researchers evaluating the impact of a pension program in Yucatan sought to develop an informed-consent procedure that was culturally sensitive and complied with Mexican norms and standards and with U.S. government and RAND Corporation ethical standards for conducting research with human subjects. This report documents the process the research team developed to obtain informed consent from those choosing to participate in the research; provides background on the development of norms and regulations for conducting research involving human subjects in the United States and Mexico; and reviews how the team developed and tested a culturally sensitive approach for collecting informed consent among the elderly in Yucatan, including testing of methods and subsequent adaptations. Finally, it reviews the implications of the findings for similar future research efforts. Aguila, Emma, Arie Kapteyn, and James P. Smith. 2015. “Effects of Income Supplementation on Health of the Poor Elderly: The Case of Mexico.” Proceedings of the National Academy of Sciences 112 (1): 70–75. We use an income supplementation experiment we designed in the state of Yucatan in Mexico for residents 70 and older to evaluate health impacts of additional income. Two cities in the State of Yucatan, Valladolid (treatment) and Motul (control), were selected for the income supplementation experiment. Elderly residents of Valladolid were provided the equivalent of an additional $67 per month, a 44% increase in average household income. We designed a survey given to residents of both cities before and 6 mo after the income supplement about their health and other aspects of overall well-being. Both baseline and follow-up surveys collect selfreported data on health, physical functioning, and biomarkers. Anthropometric measurements for every age-eligible respondent, including height, weight, and waist circumference, were collected. We also collected lung capacity, grip strength, a series of balance tests, and a timed walk. Our results show significant health benefits associated with the additional income. Relative to the control site, there was a statistically significant improvement in lung function and an improvement in memory. These improvements are equivalent to a reduction in age of 5–10 y. Residents used their extra income to go to the doctor, buy their medications, and alleviate their hunger. The fear that this extra income could be undone by reduced transfers from other family members or unwise expenditures by the poor elderly appears to be unfounded. Aguila, Emma, Erick G. Guerrero, and William A. Vega. 2016. “Sociodemographic Characteristics Associated with Alcohol Use among Low-Income Mexican Older Adults.” Substance Abuse Treatment, Prevention, and Policy 11 (1): 11-16. Aguila, Emma, Nelly Mejia, Francisco Perez-Arce, Edgar Ramirez, and Alfonso Rivera Illingworth. 2016. “Costs of Extending the Noncontributory Pension Program for Elderly: The Mexican Case.” Journal of Aging & Social Policy 28 (4): 325–43. Population aging coupled with high poverty rates among older persons and a lack of access to social-security benefits or traditional support systems have led governments in low and middle-income countries to introduce non-contributory pension programs for the elderly. This article reviews a non-contributory pension program introduced in Mexico in 2007 that has since expanded greatly. We use a variety of sources to estimate current and future costs of this program. Aguila, Emma, Beverly A. Weidmer, Alfonso Rivera Illingworth, and Homero Martinez. 2016. “Culturally Competent Informed-Consent Process to Evaluate a Social Policy for Older Persons With Low Literacy: The Mexican Case.” SAGE Open 6 (3): 1-11. The informed-consent process seeks to provide complete information to participants about a research project and to protect personal information they may disclose. In this article, we present an informed-consent process that we piloted and improved to obtain consent from older adults in Yucatan, Mexico. Respondents had limited fluency in Spanish, spoke the local Mayan language, and had some physical limitations due to their age. We describe how we adapted the informed-consent process to comply with U.S. and Mexican regulations, while simplifying the forms and providing them in Spanish and Mayan. We present the challenges and lessons learned when dealing with low-literacy older populations, some with diminished autonomy, in a bilingual context and a binational approach to the legal framework. Aguila, Emma, Arie Kapteyn, and Caroline Tassot. 2017. 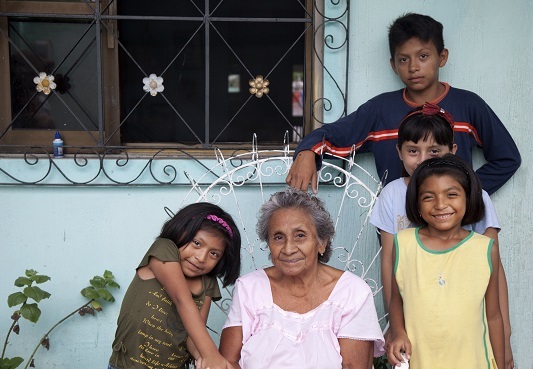 Designing Cash Transfer Programs for an Older Population: The Mexican Case. (Journal of the Economics of Ageing 9 (June): 111–21). Aguila, Emma, Arie Kapteyn, and Francisco Perez-Arce. 2017. Consumption Smoothing and Frequency of Benefit Payments of Cash Transfer Programs. (American Economic Review, 107(5): 430-435. The Life Cycle Hypothesis (LCH) suggests that individuals smooth their marginal utility of consumption across periods, so that predictable changes in income should not affect consumption (e.g. Hall 1978). Yet previous research (e.g. Stephens 2003; Shapiro 2005; Stephens 2006; Mastrobuoni and Weinberg 2009) has found that low-income households do not smooth consumption between paychecks. Consumption, measured by expenditures or food-intake, tends to peak when a paycheck arrives then falls until the arrival of the next check. This suggests that changing the frequency at which paychecks arrive may better smooth household consumption and have beneficial effects on recipients. We examine the extent of consumption smoothing between the receipt of benefits by households after the introduction of two noncontributory pension programs in the State of Yucatan, Mexico. One program disbursed benefits monthly while the other did so every other month, that is, bimonthly. We also analyze the effects of the programs on food availability, health care use, and purchases of durable goods. Before the introduction of the programs, we observed similar food expenditure patterns across the two groups of households assigned to the different programs. After the introduction of the programs, we observed more consumption smoothing in the monthly program than in the bimonthly program. We found monthly-program households had higher food availability and increased health care use, but spent less on durable goods than the bimonthly-program households.